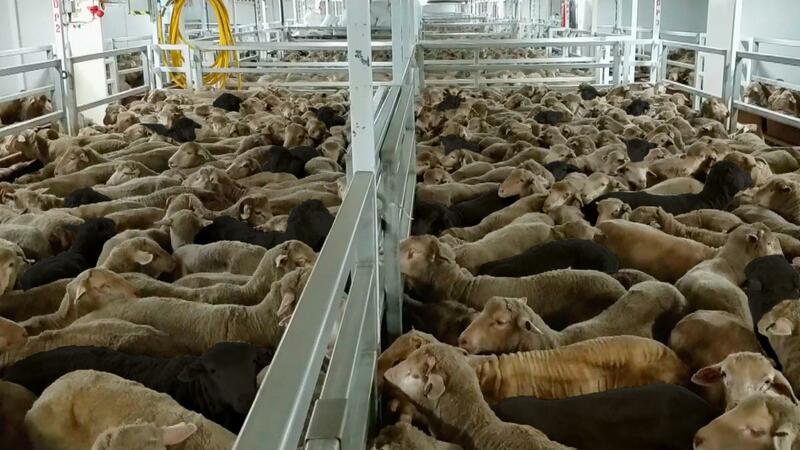 The RSPCA has expressed grave concerns over the Department of Agriculture’s response to the latest live export disaster, as thousands upon thousands of Australians react with anger and outrage over the shocking evidence. The concerns come following the RSPCA’s meeting with Australian Government Department of Agriculture representatives yesterday. “It beggars belief that the very ship at the centre of this scandal is moored in Fremantle as we speak, and may yet be issued with a new export permit this week, with minimal additional terms,” said RSPCA Australia Chief Science and Strategy Officer Dr Bidda Jones. “The conditions required for this permit can simply not be satisfied,” said Dr Jones. “When it’s opposed by the vast majority of the community - it just doesn’t make sense,” she said. A still from the Awassi Express footage, showing what the proposed 17.5% stocking density reduction would look like (around 20 sheep less in a pen of 150 animals that’s already stocked at 5% below the standard).